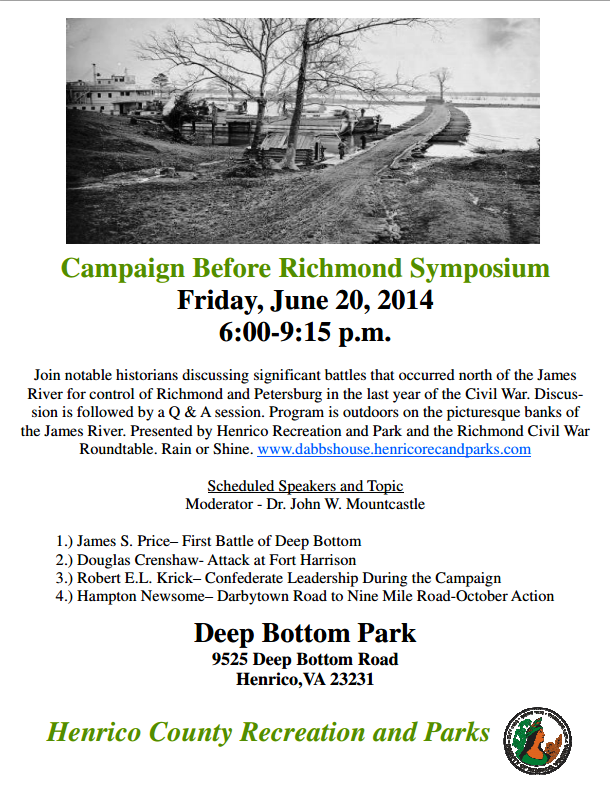 This Friday, June 20th, I will be speaking at the “Campaign Before Richmond Symposium” at Deep Bottom Park. The event will be held in a large tent near the historic site of the Deep Bottom bridgehead on the 150th anniversary of when it was established, so this is a unique opportunity to learn more about Grant’s famous “double-enders” on the site from which they were launched. 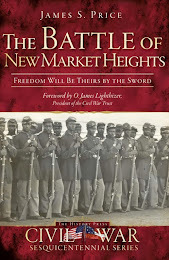 I have the honor to speak alongside Doug Crenshaw, Robert E.L. Krick, and Hampton Newsome on a panel moderated by Jack Mountcastle, former Commander of the U.S. Army Center of Military History. 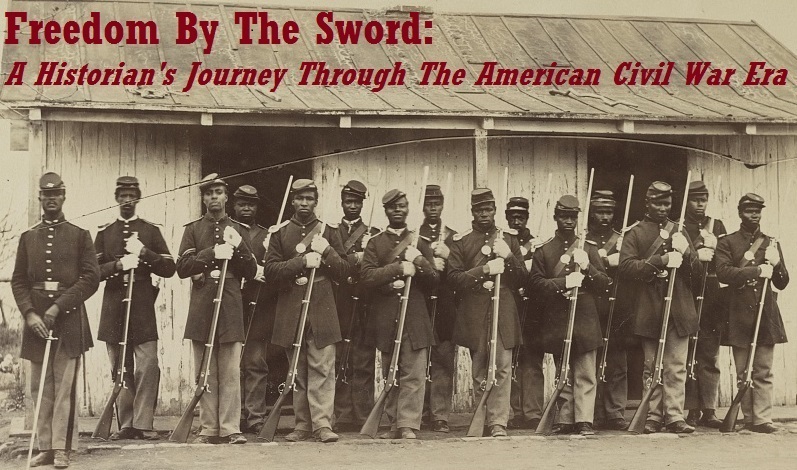 The event will last from 6:00 p.m. – 9:00 p.m.
Talks will be followed by a full panel Q&A led by Gen. Mountcastle.